Alpine AUX input cables for aftermarket Alpine car radios. Connect iPod, iPhone, iPad, MP3 players and more via RCA phono or 3.5mm jack lead. 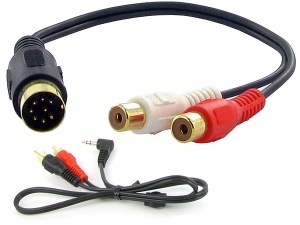 Select your Alpine AUX adapter below. 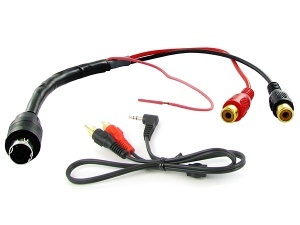 Alpine Ai-Net aux adapter lead for Alpine Ai-Net car stereo models. Connect any iPod, iPhone, mobile phone, MP3 player etc. to your after-market Alpine Ai-Net car radio. Alpine M-Bus aux adapter lead for Alpine M-Bus car stereo models. Connect any iPod, iPhone, mobile phone, MP3 player etc. to your after-market Alpine M-Bus car radio.